Teaching your child how to get dressed by themselves can be rewarding and exciting. It can also be frustrating, time-consuming, and overwhelming. Children start helping when their parents dress them as early as one and half years old (Beery & Beery, 2004) . As they grow and develop, they become more independent. 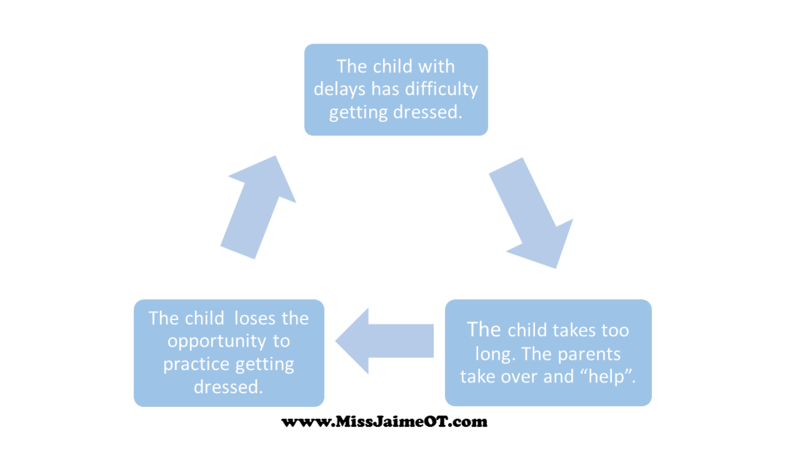 For more information about typical developmental progression of dressing, check out MamaOT in the #FunctionalSkillsforKids series. Getting dressed is an important occupation in a child’s daily life. As early as two and a half, a typically developing child is able to get dressed with help (Beery & Beery, 2004). 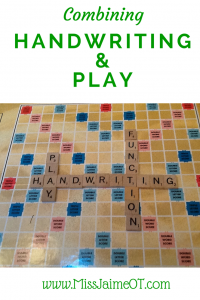 This requires requires motor planning, fine and gross motor skills, spatial awareness of front and back as well as cognitive skills like sequencing and problem solving. 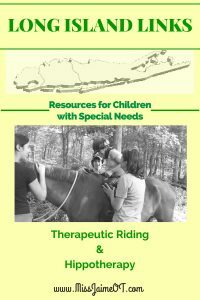 This can be frustrating for a typically developing child, but what about a child with a disability? Research shows that “as many as one in five children are at risk for developmental delay, but less than 50% of children with these types of concerns are identified prior to entering school (Centers for Disease Control and Prevention, 2015). This means that many parents might not even be aware that their child is experiencing a delay. 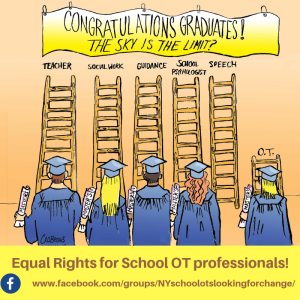 Children with disabilities are at more of a disadvantage when it comes to learning ADLs. A study that compared Activities of Daily Living (ADL) skills in typically developing children and children diagnosed with Developmental Coordination Disorder (DCD) showed that children with DCD demonstrated delays in learning and poor performance of Activities of Daily Living skills. This study also showed that the children with coordination difficulty participated in ADLs less frequently. (Van der Linde, B.; van Netten, J.; Otten, B.; Postema, K.; Geuze, R.; Schoemaker, M. M., 2015). It was also found that in instances where the child’s delay impacted the whole family, parents had a tendency to take over in order to save time during ADL tasks (Van der Linde, et al., 2015). Picture a family with three children who are getting ready for school in the morning. The child who struggles with ADL skills may be taking more time to get dressed, which could make the other children miss the bus. It is only natural that a parent would want to “jump in” to help the child dress. However, this pattern can lead to further delay in a child’s performance. It becomes a cycle. One option to help your child learn to get dressed independently is to involve their siblings. Evidence shows that using a sibling to achieve a goal can be very effective. Children are often motivated to copy an older sibling who is a “big kid”, so getting your other children on board by demonstrating and encouraging can be a big help (AOTA, 2015). 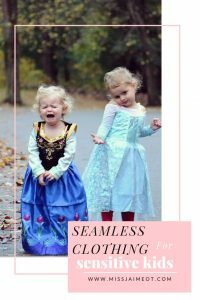 There are many reasons that getting dressed can be a challenge for a child. Some children have difficulty with balance and fine motor skills while others have trouble with problem-solving and sequencing. Still, others have trouble with a few different performance components that are required to get dressed. However, any child’s dressing routine can be altered and scaffolded for optimal success. It is important to promote he feeling of achievement during the process of getting dressed. An ideal way to accomplish this is to let your child complete the last step of the task by themselves. For example, you can help your child to get their arms into both arm holes of their shirt and help them to pull it over their head. Then let them pull the shirt down over their belly without your help. This effectively lets them “finish” the task alone, which will help them to feel like they’ve achieved something. When a child feels successful, they are more motivated to work on things that are challenging. By teaching the last step of the task first, you are allowing them to “achieve” the task. Once they have mastered the last step (pulling the shirt down), teach them the second to last step (putting it over their head) (“Teaching your child,” 2016). 1) Sit down. This alleviates the challenge of balancing on one leg when attempting to put underwear or pants on. 1) Teach your child to locate the tag first. 2) Have your child lay the clothing on the bed front-side down so they can put it on easily without putting it backwards. 3) Make an effort to buy jackets that have a different color or pattern on the inside. This provides a visual cue for when an arm is inside out, etc. 1) Have your child lean against a wall to stabilize their core and tuck their knee under their chin. This brings the foot close enough to don a sock or shoe, while taking away the additional chore of holding the trunk upright. 1) Teach your child how to “gather” the sock in their hands. You can do this by showing them “thumbs up and in”. Meaning, stick the two thumbs up, then in the “mouth” of the sock, and then scrunch, scrunch, scrunch. Next, teach your child to get the sock over the pinky toe first. Once the pinky toe is in, it’s much easier to slip the “mouth” of the sock over the rest of the toes. b. Line the socks up next to the foot to make sure the heel is in the right spot before beginning the “scrunch” process”. c. Buy ankle socks so there is less material for little hands to manipulate. 1) If your child knows how to tie but can’t seem to hold the laces and tie at the same time, you can try shoe lace clamps. 2) Start with slip-on or velcro shoes at first. If your child has laced shoes but isn’t ready to tie, you can try elastic laces or hickies. 3) If your child can’t get the shoe “open” enough to get their foot in, draw a big face on the inside of the tongue. Remind them that they need to see the whole face (including the mouth) in order to get their foot in. Again, teach them “thumbs up and in” to open the sides. 4) Draw fingerprints on the sides of the sneaker to give a visual cue as to where to grab to pull the shoe open. 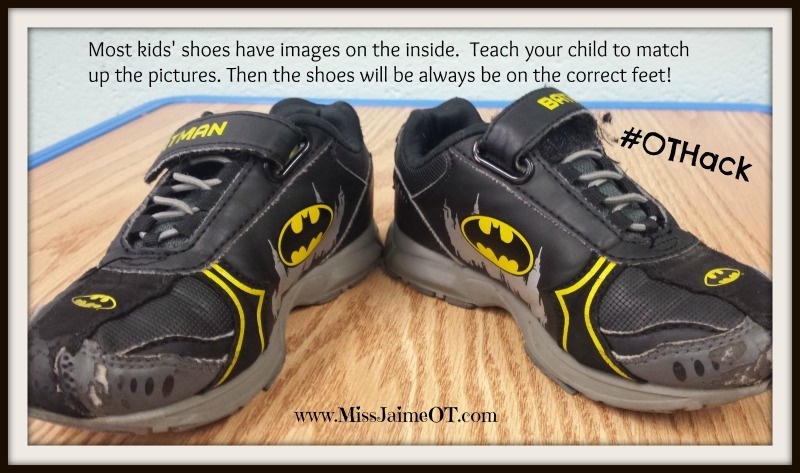 5) If your child has trouble putting their shoes on the correct feet you can teach them either of these #OTHacks. 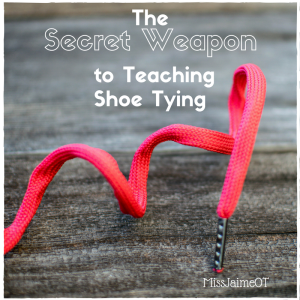 Try using the Memory Ties ™ training shoe lace. Memory Ties™ are a training shoelace that magically “remembers” where the lace is positioned. Basically, it doesn’t flop over as soon as you take your hand away. This is such a cool feature because so many children struggle with the step of making the loop(s) and then moving to the next step. The laces are made with a special “memory fiber core”. But they look like regular laces! 2. Pay attention to other reasons your child may be struggling with tying. 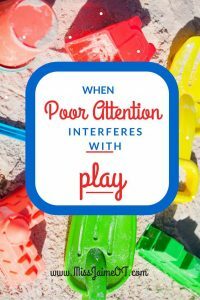 Often there are underlying issues that a parent might miss. Beery, K., & Beery, N. (2004). Beery VMI developmental teaching activities. Minneapolis: NCS Pearson, INC. 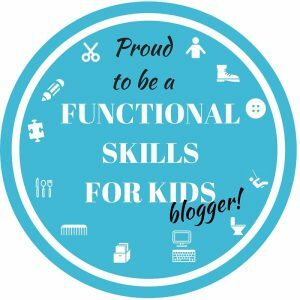 This post is part of the Functional Skills for Kids series. 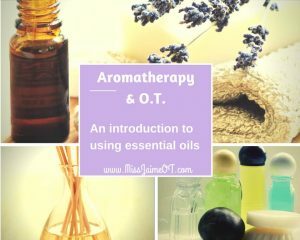 Check out all of the bloggers who are participating and learn more about the series by clicking on the link or the image above. Thanks for reading! ~Miss Jaime, O.T. 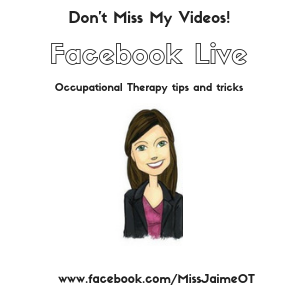 Love your OT Hacks, especially the face drawn on the tongue and the Velcro pieces touching! Thank you, MamaOT! 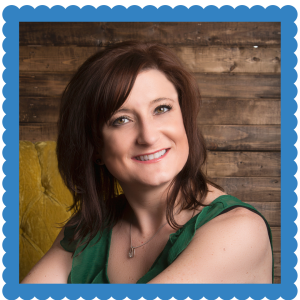 The face on the tongue is a favorite of mine – using a visual cue can be a miracle worker! 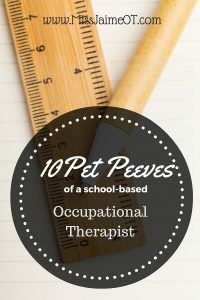 SO many great ideas in this post!!! Love the idea of using a sibling for help/motivation. I know this has worked at my house! Thank you Claire – research shows that it helps the child as well as the sibling. It’s a win-win! Excellent, helpful suggestions. That image of the vicious cycle of over-helping resulting in a lack of independence is so accurate for all kids. Parents are so rushed that we tend to do too much – guilty as charged! Any ideas to help kiddos with hemiplegia learn to dress themselves? Pingback: "Ainda não estás pronto?!" - Como adaptar a rotina do vestir para que lhe cause menos stress | Eu Consigo! I draw 1/2 a face on the inside of both shoes – when they line up a face with the smile, they go on the correct feet. I love that idea! Also – if your child loves a certain superhero, etc. you could use a sticker cut in half. Match up the two halves of superman and you’re good to go.